Almost unbelievably, we are down to three days left before the worldwide simulcast of the Doctor Who 50th Anniversary special episode, Doctor Who: The Day of the Doctor. Come on, Saturday! Of course I am not in the least minding that BBC America has pre-empted countless episodes of Kitchen Nightmares and Top Gear in favor of All Who, All the Time all this week. What a treat! 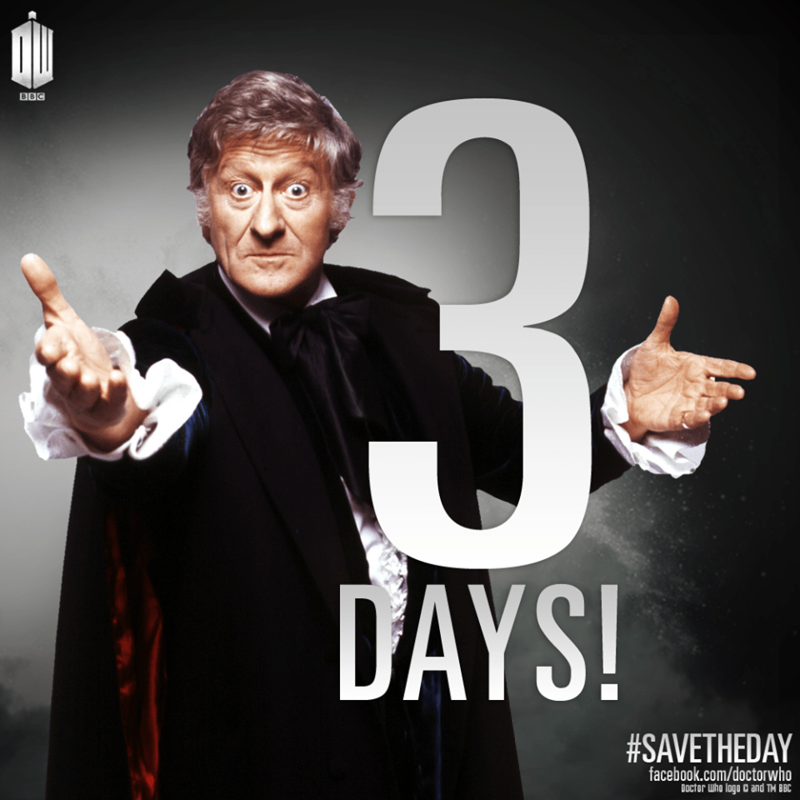 Today we have of course a picture of the Third Doctor, Jon Pertwee, reminding us of how many days are left until the anniversary. Thank you, sir. 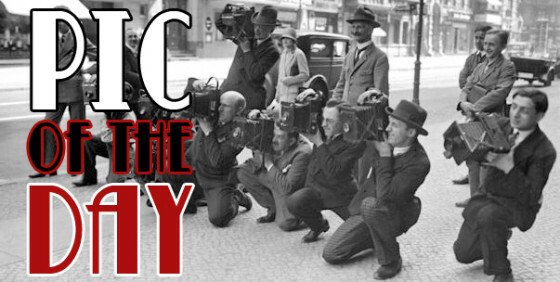 We also have an interesting cover picture from the Doctor Who Facebook page. 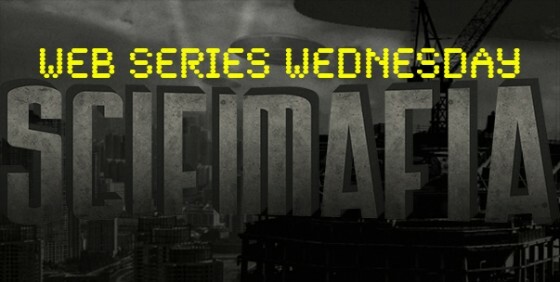 Chilling, really, when you consider the second prequel minisode webisode we posted earlier today, The Last Day. But back to the happiness. We also have a press release about the contents of the Day of the Doctor DVD and Blu-ray package, available on Tuesday, December 3 (and a convenient preordering link down below), another press release about an app that turns your iPhone into a virtual sonic screwdriver, and two featurettes. Dig in! The disc also contains English subtitles for the hard of hearing, audio description and audio navigation. The main feature contains a 5.1 soundtrack. It also has two background options – a deep space starfield for when you want to explore the cosmos, and an augmented reality experience utilising your phone’s camera, for when you want to operate your sonic in the real world. The app also controls your phone’s flash making it the coolest flashlight app in the galaxy. 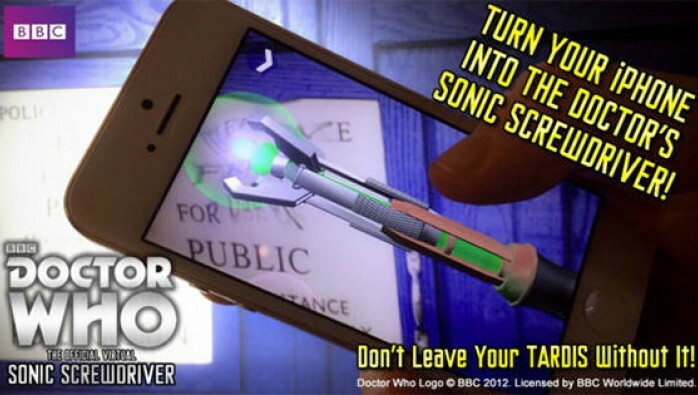 The Doctor uses his Sonic Screwdriver to unlock doors and hack computer systems. He defeats Daleks and scares Cybermen; he scans the shadows for Vashta Nerada, and lights the way to whole new worlds! He saves the universe every day – what will you do with yours? Your imagination is the only limit. According to a friend of mine who’s a British ex-pat, it’s the soy lecithin we have in our chocolate to keep it from melting, because our country is much more temperate than, for instance, Great Britain. Well, he got it mostly right, and I think we can let him slide a little bit; he is a very busy man. Hopefully he’ll be able to watch the simulcast on Saturday (or Sunday, whenever it is in New Zealand)! Doctor Who: The Day of the Doctor starring Matt Smith, David Tennant, Jenna Coleman, Billie Piper, Joanna Page, Jemma Redgrave and John Hurt will air November 23rd commercial free at 2:50pm Eastern on BBC America. BBC AMERICA will encore the special in primetime at 7:00pm ET with exclusive Inside Looks with Matt Smith and David Tennant.